Clouds over Chinese financing for some important local infrastructure projects are being gradually removed after fund negotiations started showing signs of improvement. Out of eight priority projects undertaken with Chinese funds, three have seen loan deals and the framework loan deal for much-coveted Padma rail link project is likely next month. Financing deal signing advanced much for two other projects as well and funding for the rest two are under process, officials at Economic Relations Division (ERD) said. Chinese President Xi Jinping pledged nearly $22 billion for 27 projects in his October visit to Dhaka last year, but the financing got stuck surrounding some issues like interest rates and mode of project implementation. The projects are now getting a real shape after officials of the two countries stepped in to resolve the unsettled matters, ERD officials said. For instance, interest rate for Padma rail link projects finally settled at a flat 2 percent rate very recently, although tussle over the project’s financing and interest rate consumed much time of the project. 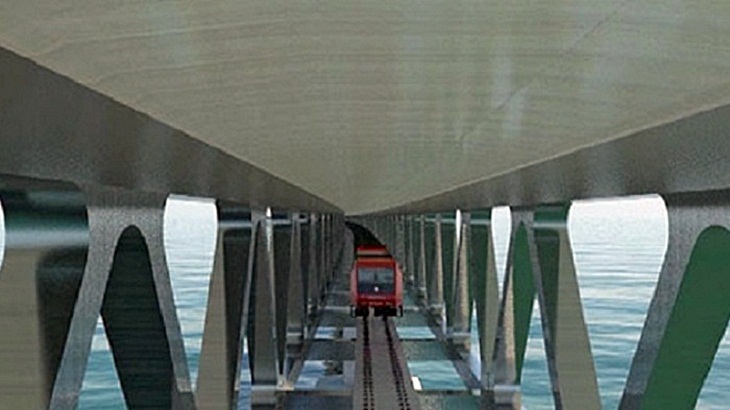 The 169 km rail line from Dhaka to Jessore through under-construction Padma bridge was supposed to be complete simultaneously with Padma bridge’s construction by December next year. Interest rate issue also created problems for ‘expansion and strengthening of power system network under DPDC area project’ and ‘power grid network strengthening project under PGCB project,’ which was cleared after negations between ERD officials and China Exim Bank officials. The government had been looking for a financier for ‘installation of single point mooring with double pipeline’ for last 10 years. Finally, its financing could be ensured with framework loan deal singing with China on October 29 this year, ERD high ups informed. The loan signing process for the eight priority projects are progressing in line with the government’s target, ERD officials claimed. “Chinese authorities have said the evaluation process for four projects is going on in full swing. We hope that loan contracts for these projects may be singed in the first quarter of 2018, if not possible by this year,” an ERD high-up said. Even though calendar year will be changed for the delay, the local fiscal year will not change, he added. Final or framework loan agreements have already been signed for Info Sarkar-3 project, million for modernisation of telecommunication network for digital connectivity project and the single point mooring project. Loan contracts for the power projects for DPDC and PGCB and the Padma rail link projects are in the pipeline to be signed soon, according to ERD officials. Meanwhile, Bangladesh two weeks ago sent a new list of 12 projects to China as the government’s priority for the next year for which Chinese government is supposed to provide $9.45 billion, official sources said. The new projects that is in the 27-project list include schemes for railway upgrading, state-run jute mills revamping, improving road infrastructure and lowering system losses in power sector. Of the new projects, three are railway infrastructure projects where $2.76 billion Chinese funds are expected. Those are construction of dual-gauge rail track from Joydebpur to Mymensingh parallel to the existing metre-gauge track, construction of dual-gauge track on Joydebpur-Ishwardi railway section, and conversion of metre-gauge rail tracks into dual-gauge track in Akhaura-Sylhet section. Construction of Dhaka-Ashulia elevated expressway, coastal protection work and construction of marine drive expressway from Chittagong's Sitakunda to Cox's Bazar, and expansion and modernisation of Mongla Port facilities are also in the new list. One of the new projects will deal with balancing, modernisation, rehabilitation and expansion (BMRE) of public sector jute mills to make them more productive. $1 billion has been sought for a digital connectivity project, eying to connect 2,250 unions with their concerned upazilas through optical fibre cables and set up business process outsourcing (BPO) centres. The other projects are: Rajshahi Wasa surface water treatment plant, reduction of systems loss under Dhaka Power Distribution Company (DPDC), extension of the existing underground mining operation of Barapukuria Coal Mine and establishment of six terrestrial television stations for the state-run BTV.